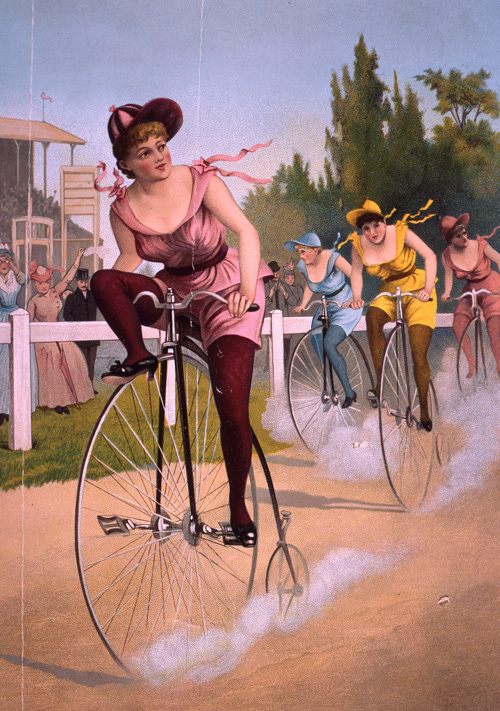 Look at the bicycles the ladies are riding. How are these different from a modern bike? Compare what the ladies in the crowd are wearing with the ladies on the cycles. What are the main differences? How easy do you think it would have been to ride these bicycles? Why?